Places are still available for free Chain of Responsibility (CoR) information sessions during November. The sessions explain the changes to CoR, what this means for your council and how a Safety Management System can help manage your operation's safety risks. For more information or to register for a session click here. The Australia-New Zealand Counter-Terrorism Committee’s (ANZCTC) Crowded Places Advisory Group developed Australia’s Strategy for Protecting Crowded Places from Terrorism in consultation with states and territories, local governments, law enforcement agencies and private sector representatives through the Business Advisory Group. All councils are encouraged to take a few minutes to complete this survey to ensure the independent reviewers can make informed recommendations. Take the survey by clicking here (02 November 2018). More than 660 community projects – including from councils – commemorating the 100th anniversary of the Armistice of the First World War are set to share in more than $5.3 million under the Armistice Centenary Grants Program. This is the latest announcement of successful community projects awarded funding and details by state are available on the Minister’s website. Further announcements of successful grant recipients will be made over the coming weeks (26 October 2018). The Australian Government released the guidelines for Round 4 of the Mobile Black Spot Program and called for applications from mobile network operators and infrastructure providers, including local government, to the Round 4 competitive assessment process. Applications will be open until 10 December 2018. To apply and for more information click here. Regional tourism and local jobs are front and centre of the latest round of the Building Better Regions Fund, with regional Australia set to share in $200 million for local infrastructure and community-building projects. Applications closed on 15 November 2018. For further information on eligibility, please click here. The theme for the 2018 Congress is 'Connecting transport networks now and into the future'. The key benefit of improved transport connectivity is its transformational effects - making cities and regions more accessible, more liveable and creating opportunities for economic development that could not otherwise exist. Registration is open. Commencement 4 February, 2019. Redland City Council has, by resolution dated 24 October 2018, made Subordinate Local Law No. 1.19 (Placement of Shipping Containers, Railway Carriages and other Objects on Land) 2018 (09 November 2018). Local Government Act 2009: Redland City Council (Making of Subordinate Local Law) Notice (No. 6) 2018. Commencement: 09 November 2018. Subordinate local laws being amended: 4. Amending Subordinate Local Law No. 8 (Subordinate Local Law No. 4 (Local Government Controlled Areas, Facilities and Roads); 2015) 2018 amends Subordinate Local Law No. 4 (Local Government Controlled Areas, Facilities and Roads) 2015 (09 November 2018). The Queensland Government is seeking feedback from community and business organisations around The Queensland Plan, Queenslander’s 30-year vision for the state. Members are invited to provide their feedback around whether, five years after its release, the vision outlined in The Queensland Plan is still appropriate. The Consultation Paper and a feedback form are available online here. Submissions closed on 7 November 2018. Building our Regions is a $445 million targeted regional infrastructure program for local government projects. To date, Building our Regions has allocated $225 million across 174 projects. From the expressions of interest received in Round 4, 53 projects have been shortlisted. Successful projects are expected to be announced in late 2018. The Code of Conduct can be viewed here. Note that from 3 December 2018, the Independent Assessor and the Office of the Independent Assessor (OIA) will assess and investigate councillor conduct complaints. The Code of Conduct will take effect on 3 December. Queensland’s container refund scheme commenced on 1 November 2018, with more than 230 container refund points in operation across the state. The number of these sites will continue to grow as the scheme rolls out. Expected to be tabled in March 2019. 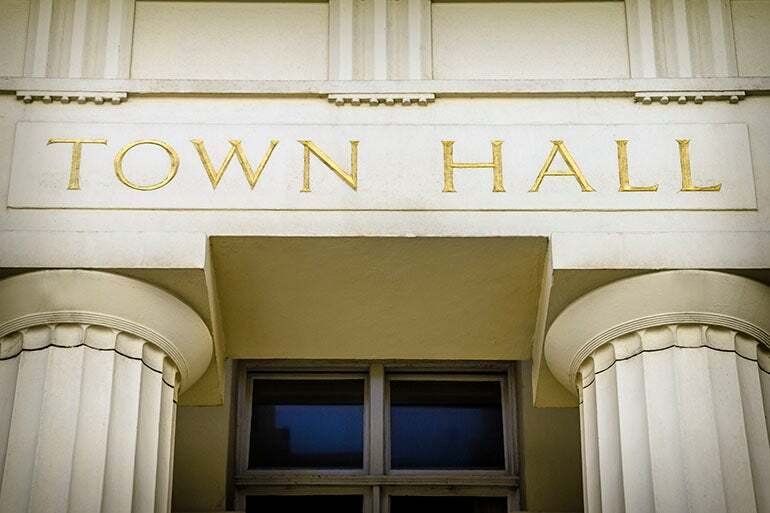 Objective: To determine the relevance, appropriateness and fair representation of key local government performance measures and the extent to which the Local Government Performance Reporting Framework (LGPRF) drives council performance and improvement. Seven councils have had their local Environmentally Sustainable Development (ESD) Policies approved by the Minister for Planning in Amendment GC110. The Cities of Brimbank, Greater Bendigo, Greater Dandenong, Hobsons Bay, Kingston, Whittlesea and Wyndham join 10 other councils with an identical ESD Policy. Congratulations to these councils and to all Council Alliance for a Sustainable Built Environment (CASBE) councils who have collaboratively worked on this initiative (09 November 2018). The NSW Department of Planning and Environment’s updated Public Lighting Code will come into effect on 1 July 2019. The new code’s introduction coincides with the beginning of the next five-year revenue determination for NSW distributors. Until then the existing code, which is voluntary, continues to apply. The NSW Department of Environment and Planning (DPE) sought feedback on proposed changes to the planning system for short-term rental accommodation (STRA). For further information see the Explanation of Intended Effects. Submissions were due by 16 November 2018. The NSW Government has released an inland code, allowing one and two storey homes, home renovations and some farm buildings to be treated as complying development. The inland code applies to 69 local government areas and will commence on 1 January 2019, giving councils and industry time to understand the new requirements. Visit the DP&E website for more information. REAL PROPERTY - Imposition of easement by court - s 88K of the Conveyancing Act 1919 (NSW) – where the grant of easement is unopposed - whether grant of easement is ‘reasonably necessary’ - whether grant of easement is consistent with the public interest – where quantum of compensation to be paid is agreed between the parties. APPEAL – Administrative law – access to government information – where residents action group requested access to information in documents relating to the Newcastle 500 Supercars Event – whether Tribunal had erred in providing access to certain information – re-determination on merits – whether there is an overriding public interest against disclosure of information. ADMINISTRATIVE LAW – Government information – whether proceedings lacking in substance – costs. DEVELOPMENT APPLICATION - Expansion of an existing caravan park to add 208 long term residential sites - whether the development is inconsistent with the zone objectives - whether the development, including the increase in residential density, is incompatible with the rural character of the area - whether the necessary community facilities and services are available in the locality - whether separation to adjoining land is adequate - resident objectors. DEVELOPMENT APPEAL - Two storey town house redevelopment – infill self-care housing - consistency with the character of the area - variation to standard sought – standard requires single storey development to the rear of the site – potential impacts on the visual and acoustic privacy of adjoining residential lots. Introduced to Queensland Parliament on 19 September. Amendments are proposed for more than eight Acts through the EDOLA Bill. A copy of the Bill and the Explanatory Notes is available from the Queensland Parliament website. The postponed law now automatically commences on 11 November 2019. Amends the Aboriginal Land Regulation 2011 to redescribe transferable land and to redescribe areas of land identified in a change to the boundaries of a city, as is defined and provided for under the Aboriginal Land Act 1991. The Regulation commenced on 2 November 2018. All Commonwealth bodies will have to publish their annual reports on a public website from the end of this year following the launch of the new Transparency Portal. The portal will eventually contain the budgets and audited expenditure of all Commonwealth bodies. Australians have a strong connection to their local councils despite public confidence in institutions hitting an all-time low, Labor frontbencher and South Australian Senator Penny Wong says.